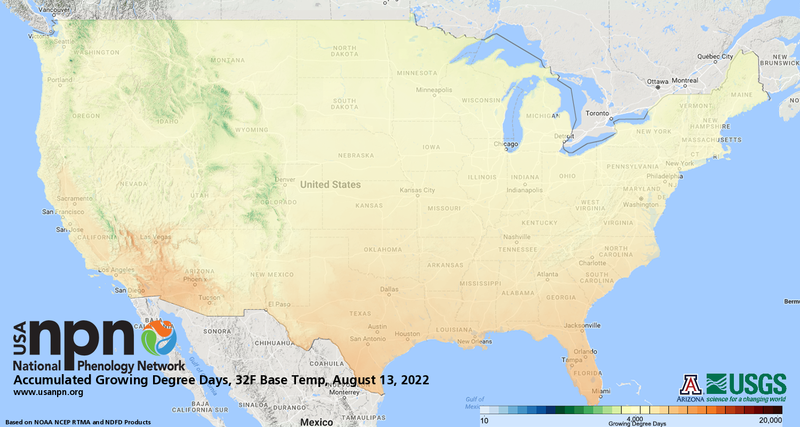 Phenology observations are used to help build and validate our models and maps. 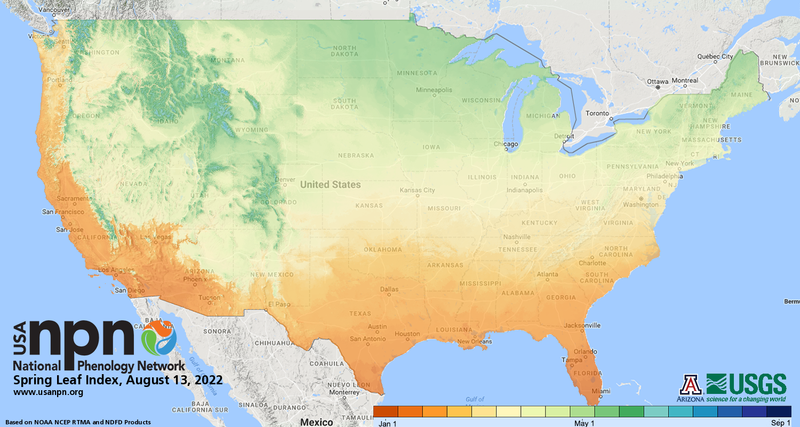 The USA-NPN produces and distributes a growing suite of historical, real-time, and forecasted phenology map products using gridded temperature data and based on several predictive phenology models. Predicting when a species will undergo a phenological transition at a particular location – for example, transitioning from closed flower buds to open flowers – has great value for a wide range of short-term natural resource management applications, including scheduling invasive species and pest detection and control activities, planning recreational activities, anticipating allergy outbreaks, and planning agricultural harvest dates. Historical phenological transition dates also have value for providing context for current phenology observations and for documenting how conditions have changed in recent years.